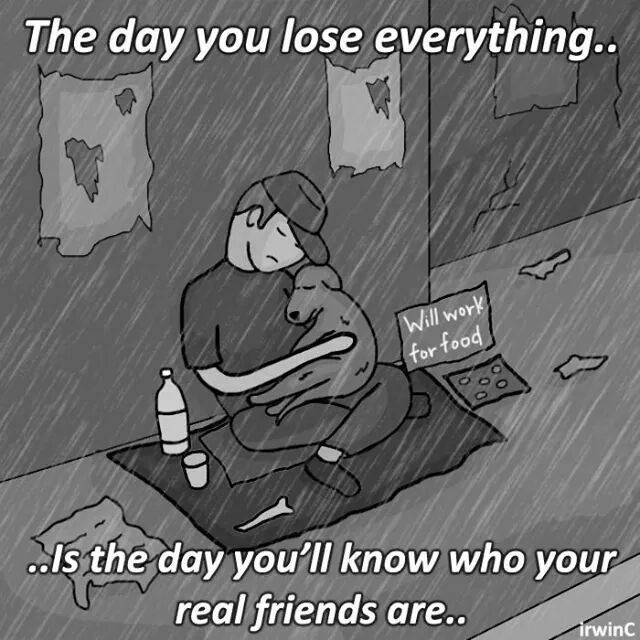 Sad to say, but this is true. People tend to walk away, especially when you need help the most. Don’t be discouraged, you can still get there! It may take a little bit longer, but every little eventually.. Becomes something bigger. I’m just seeing this video for the first time. But, I still have a question after seeing this. Why is this young man, playing with a toy gun in a public park? I can not understand this. And the particular area, makes me wonder that much more. As far as the police. Did they shoot him before jumping out of the car? Is this protocol? I understand the urgency. But, it seems like they would at least attempt to get the gun from him. These officers were out of order! 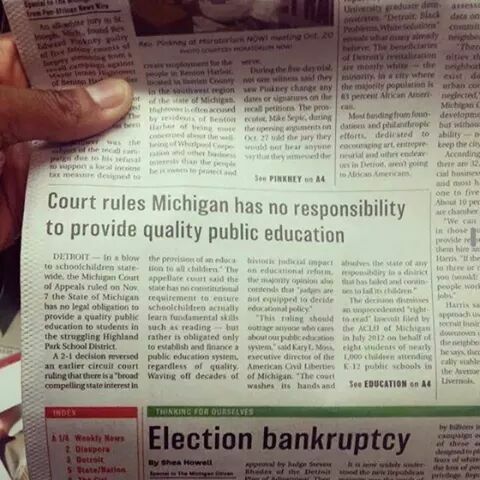 #Micigan Court decided that they have “NO” responsibility to provide quality education. Follow me on these other networks! I’m way over here in #Chicago but feel like the #Ferguson situation is right here at my front door. 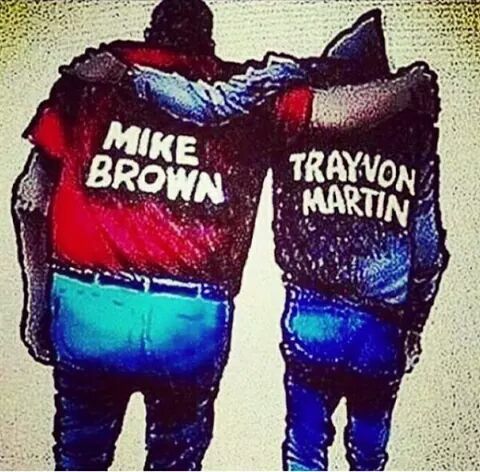 Yet, another unarmed young black male is lost at the hands of a police officer. As well as, that same officer not being disiplined appropriately. I don’t know how the civilians are treated in that area, but it can’t be too much of a difference from here. Many of the officers have no respect, and display it proudly. They stop you, and harass you. They call you names, and dare you to say something. Instigators! I don’t want to burn anything, I don’t want to hurt anyone, I don’t want to lash out at someone because they are white or the law. It makes you want to grab every young black young male, by the hand. Let him know that he is special, he is strong, he is intelligent, he is brilliant! Tell him, I’m here for you, NOW HOLD YOUR HEAD HIGH! Be the KING you were meant to be.